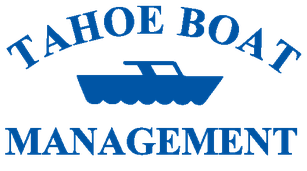 Stephen brings a diverse educational and professional background to his customers at Tahoe Boat Management. A life long boating enthusiast and customers at Tahoe Boat Management. A life long boating enthusiast and graduate of the Massachusetts Maritime Academy, Stephen earned a B.S. in Marine Transportation, a USCG Third Mates Unlimited Tonnage license, a 100 Ton Captains license and a commission as LTJG in the USNR. Upon graduation, Stephen served on the MV Lowell Stanley of Morgan City, LA for Seahorse Marine. Later, Stephen would shift his interest to Wall Street where he would become a Financial Advisor with Shearson Lehman Brothers and enjoy a twelve year career that would lead him to Associate Vice President of Investments for Prudential Securities. Today, Stephen makes his home in Reno, Nevada with his wife Joanne and is daughter Allie. They enjoy boating on Lake Tahoe in the summer and you can find them at Squaw Valley in the winter where Stephen enjoyed 17 years as a ski instructor.